Over 54,000 people will be lining up to start the The Virgin Money London Marathon, taking place on the 22nd April. Many will be running for charities, aiming to break the 2017 fundraising record of £61.5 million. The 2018 event is extra special as HM The Queen is starting the race from Windsor Castle as part of the celebration of the 110th anniversary of the 1908 Olympic Games marathon. By the end of the course and after 26.2 miles of pounding the pavements of London, runners will have pushed themselves to their limits, causing all kinds of pain from the joints to the lower back. The British Chiropractic Association has some tips to help to get the 2018 runners back on their feet on Monday morning. BCA chiropractor, Ulrik Sandstrøm, comments on the strains of running such a monumental distance and explains how to minimise the inevitable discomfort in the aftermath. • The Heat is On: A hot bath is ideal for strained muscles and overall rejuvenation. After all, the Marathon is physically and emotionally draining, so it makes sense to relax and literally bathe in your glory! Back In Form Chiropractic Clinic now have a third Triathlete joining the ranks. The addition of Chiropractor Lucy Rodwell to Blandford Chiropractic Clinic as locum for Karen Oldale now means that with Chiropractor Steven Oldale and Sports Massage therapist Lucy Payne, this must surely be one of the fittest clinics in Dorset. 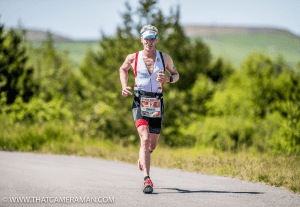 A trio of triathletes are now ready to transition you from couch potato to ironman athlete. 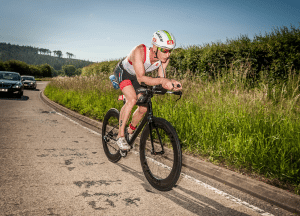 Steven Oldale has completed multiple ironman events but is likely to have a break from the big ones this year as he will be concentrating on the new baby triathlete! Lucy has placed highly in the forestman event and Lucy is a keen triathlete too. The team may have to consider doing a relay event sporting clinic team kit. With a wealth of experience in competing and treating sports injuries and muscular pain they can keep you on the road. To find out more follow this link. What, are you kidding? No it really is a busy time at A&E. In the US there were on average 17 hospital visits each year in 100 hospitals surveyed. That doesn’t include those people who didn’t bother to go or sought help somewhere else such as the Chiropractic or Osteopathic clinic. I clearly remember the Christmas I got my first pen-knife. To test how sharp it was I ran my thumb along the direction of the blade instead of running my thumb across it. Well those Swiss know how to make blades. It was immediately confiscated and I didn’t get it back for a couple of years! Christmas really can be a dangerous time. 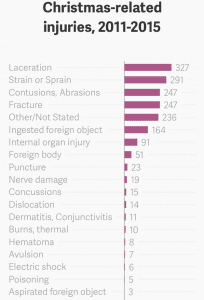 So here’s a breakdown of the types of injury, when they occurred, the ages of the injured. 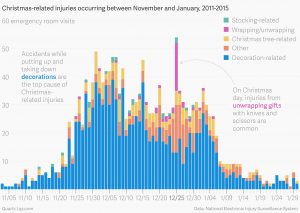 Obviously the peak day was Christmas day and that was due to the big increase in scissor related injuries. Probably as the sherry had been opened a little while earlier. So go easy on the Sellotape to protect the ones you love. The biggest injury cause was decoration related, with a few keen beans getting them up in early November. Careful though, the peak of Xmas tree related injuries comes in the next two weeks. If we look at breakdown of ages there is a big spike at 0-5 years old as the excitement all gets too much and the little ones run into the stocking hooks or poke their eyes on the tree branches. 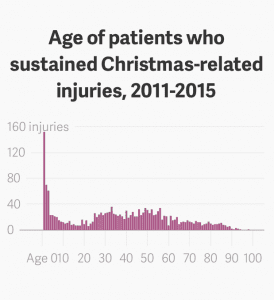 The rest of injuries were spread fairly evenly through the parental 25-55 years. The older wiser age group must have stayed seated out of the way. Types of injury of injury varied considerably, but I clearly read the textbook as lacerations were number one. That was closely followed by strains and sprains, contusions and fractures. If you bunch the last 3 injury types together those groups make up over half the injuries. 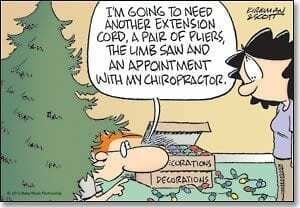 So be careful out there and if you do get hurt give us a call so that our Chiropractors can give you advice. In the meantime have fun and enjoy the time together. Susan Hill Joins the team at Back In Form. 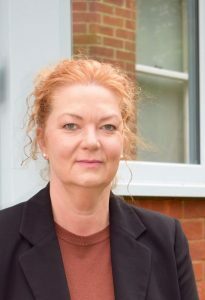 Susan has been practising Chiropractic for 28 years and has worked in many locations before settling in Dorset. She has been working at Casterbridge Chiropractic Clinic for many years but has now decided to work closer to home. Susan has a particular interest and experience in Functional Neurology and has attended and qualified to Chiropractic Board Certified level in Neurology. This puts her in an exclusive club of specialising Chiropractors. She is also a contributing author to Chiropractic textbooks. Susan’s approach looks at the whole nervous system, particularly brain function. The brain controls how we function and interact with our perceived environment. Weaknesses result in patterns of weakness which can eventually manifest in functional problems. Using standard Neurological tests and Optokinetic (eye movements) evaluation it is possible to identify weaknesses that could easily be overlooked. A program of exercises to strengthen the weak areas is then devised and if the problem is functional, positive changes will occur that help to rebalance the reflexes that control us. You can find out more from Sue by following this link. We will be updating topics regarding this in due course so if interested please follow us through facebook and we will post links to them there. After an encouraging 2015 coming on the back of glandular fever the year before I was keen to step it up and start to become competitive. I learnt a lot the year before regarding nutrition, preparation and recovery and was itching to get going again. The problem was I’d been injured from attempting to kite surf since October. A few months of DIY hadn’t helped the recovery and so when I had an MRI of my right knee in Feb I had tough choices to make. I wanted to revisit Mallorca and go sub 11 but I had a tear in my lateral meniscus, mild bursitis and tendon damage. Not from running I hasten to add. From failing to release from my binding when I wiped out mildly. So come the end of Feb I decided to take a gamble and book Mallorca. 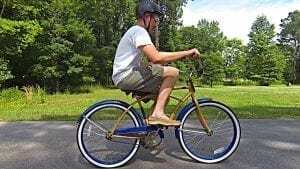 I also invested in a new bike to help trim some time of the ride. There could be no excuses then. Training started slowly, mainly building up the bike which I hadn’t been on for 4 months. Running started slowly too but soon I was doing 50 mile rides without a sore bum and getting off feeling reasonably Ok. The running built up steadily to 7k over 3 weeks but then I stupidly went back to 10k followed a week later with 15k. That irritated the knee and I had to ease off. Rule of thumb 10%-20% a week from base of your normal run. Not 50% each time. Come April I was feeling good and took part in a tough sportive in Pembrokeshire. An upset stomach and back ache from the 7 hour journey to get there put paid to any decent time. I was disappointed but it was good base training. I didn’t feel ready for the first middle distance in May so booked up to the Breacon race again. So in mid June I headed off to Wales again hoping for a better journey. I got there in plenty of time and familiarised myself with the course again. This time for breakfast I had cold porridge (as they don’t do brekkie at 4am) with plenty of low fibre carbs. I had my bike loaded with gels and three water bottles as there aren’t bottle replacements on that race like Ironman. However it is half the cost and just as much fun. So the swim went OK, it was a better field this year, the lake is shallow so the weed was a problem until towards the end I realised it was quicker to pull myself along on it! The bike started well passing a lot of better swimmers early on, including one who stopped for a pee. All that training ruined by a full or nervous bladder! The big descent was a little slower this year due to bigger profiles on the wheels making the handling a bit dodgy in the crosswind but the flatter sections were a breeze until a lorry coming the other way nearly blew me off the bike. Going back up the hill was much faster as I stayed seated this year. It’s much more efficient and shaved a lot of time. So I arrived back in T2 in a good position. The run this year didn’t start with a cramp as I had trained a little better, but I had forgotten my salt caps so started to tighten up. The only solution was eating some crisps at a fed stop. Here’s a big tip, remember your caps, crisps aren’t easy to breathe. Mild choking over I continued on and nearly got to the end without cramp. It got me on a downhill about two miles out. End result over 37 mins faster than my first year, 6th in my age group. So getting closer to the silverware. My next race was Swanage Olympic which went well apart from nearly crashing on loose gravel on a dangerous corner (that should have been swept). 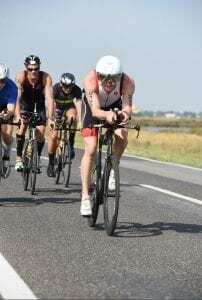 At T2 I was 4th overall for the first wave of athletes, I was holding my own and eventually overtook the chap in front. Stupidly though I let him pass me on a steep narrow section. I hate steep downhills as they hurt me behind my patellae. If I had kept him behind I would have been able to stay with him till the end. So I assumed I was 4th in my age group and went home disappointed. However I forgot that there were younger ones running with us older folk and I was actually 3rd. So I missed what would have been my first trophy presentations. Dumpkoff! 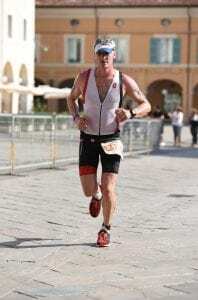 All of 2016 had been building up though for another shot at Ironman Mallorca. This time I was better prepared with my feeding strategy and had support with nutrition for the run. In hindsight I hadn’t done enough run training again. The day started with thunder and lightening off to the East in the pre dawn sky. Adding to the nerves was a late announcement allowing us to use wetsuits as the sea had cooled from the day before. This lead to mass stress and lots of haunted looks as people ran around trying to get back to cars to get kit. Not the best preparation but with about 15 minutes to spare I was at the start and ready as I’d ever be. The swim started in calm waters and I found myself in the usual washing machine wondering why on earth I do this sport. That was soon followed by me repeatedly trying to sight the turning buoy which seemed to be off in infinity somewhere. After an age we were making the first turn and heading back to shore only to do it all again. From there it was off to T1, at this point I was 1 minute down on 2015. Thankfully I had been given a good spot in transition and didn’t have to run the bike too far. The bike leg was a breeze to begin with and I made good time until unexpectedly (and it’s never happened since), the chain came off and jammed in the back brake. Thankfully a support mechanic was passing at the time on a motorbike and assisted me. I then got cramp in my thigh getting back on the bike. He gave my leg a massage, which was very kind and off I went to catch up the 100 people who had gone past! As the bike leg went on thunder clouds started to build and the main worry by this point was how I would survive slick tyres and carbon rims in heavy rain coming down the mountain. Having had a similarly traumatic experience earlier in the year I was pushing hard to get down from the mountain before the rain came. Thankfully I made it down in the dry. By this time the wind was picking up and heading back to Alcudia where it all started was hard work into the wind. I was very annoyed by some cyclists who were grouping together and draughting. This makes it a lot easier and is illegal. There were no Marshalls in sight which was equally annoying as there should have been penalties aplenty. Anyway as I headed back to T2 the sky was black as ink and riven with flashes of lightening, the second time up the high street to T2 there was hardly anyone in sight and it was all a far cry from a couple of hours earlier. The bike was over 30 mins faster than the year before. T2 went well, a quick stop for necessities and I was on my way to great encouragement from my wife Karen who was there in the rain trying to give me fluids and gels. I was fully loaded so declined and splashed my way round the first 10k in good time. The run was 4 laps of about 10k plus a little bit. At lap 2 Karen was still there getting wet and I still didn’t take on some fluids and gels. That was a mistake. I soon started slowing my pace and no matter how hard I tried couldn’t get faster. This was partly due to fatigue but also down to lack of nutrition. Lap 3 I took some on board as it was need badly, but also Karen was going to murder me as she was still in the rain and feeling like a spare part. I trundled o and got steadily slower, but importantly I didn’t walk. Last year I had walked at the feed stations as it was the only way to get fluids down. This time I carried mine round and it made a big difference to my time. Eventually I was on my last lap and running faster than those around me. It was still slow though and I had run out of salt caps. When that happens cramp is far away. So with just 2k left out of the 42 I got a twinge of cramp, slowing didn’t help and it grabbed me hard in the hamstrings as usual. Trying to stretch just set of another and I was immobilised. Lots of panting and swearing at my legs later I managed to shuffle along and eventually got back my pace. So finally after what seemed an age the finish line was in sight and I put in one last sprint to overtake a bearded chap ( Karen wanted me to beat the beards) and virtually collapse over the line in 10:53 hours. My marathon time was 4:01 so I was gutted that it wasn’t sub 4 due to the cramp. I was overcome with emotion and had to have a lie down for 30 mins while I recouperated. That helped me feel better but I had stiffened up significantly in that time. The lessons I learnt this time round. Run more as it gets hard on the run when you pass your normal training distance of 15 and there’s still 27 to go! Take on fluids when you feel you don’t need them on the run. Don’t stop moving when you finish. You Can’t Teach an Old Dog New Tricks….Or Can You? The difficulty of re-wiring your brain or why we’d all be better off if we were 6 years old!! As a Chiropractor who looks at a functional neurological approach to pain and poor function I was delighted to find this article and video on the phenomenon called Neuroplasticity. Neuroplasticity is the ability of the nervous system to adapt to changes in the environment. These changes in stimulus result in a re-wiring of the connections, so that you can effectively learn a new skill, recover from injury or adapt to a stimulus. If the stimulus is significant you can learn instantly. For example you generally won’t keep touching a hot surface. However sometimes the complex associated tasks that we learn as part of our development are so ingrained that it takes an age for an adult to un-learn them and learn a different set of rules to achieve the same thing. Here it is brilliantly and entertainingly demonstrated by a backwards steering bicycle. The interesting thing is how it demonstrates how easily a child can adapt. This is due to the plasticity of the developing brain. From a treatment perspective this demonstrates why it takes time to make lasting changes with respect to chronic pain. The same un-learning of pain and promotion of pain suppression takes time to learn and is only done through repetition of positive stimulation such as adjustments , exercises and focusing on movement. The bigger the stimulus the more wiring that occurs. This is why adjustments have a greater effect. Anyway here’s the video, hope you enjoy it. Thankfully the action of the nerves that detect movement and pressure suppresses this pain at the spinal cord and you don’t feel it. However loss of movement of an area means the suppression is reduced and pain can start to be felt. Anyone who’s sat through a long film will know that. Your body is literally telling you to move so that you don’t damage it. The brain itself can also suppress pain from above if it is busy doing other tasks that are deemed more important, ie running away from danger or doing something more pleasurable. Pain is felt when the impulses from those pain fibres actually manage to reach the sensory cortex of the brain. So you register pain in the head. To achieve this you must have increased excitation of the pain nerves. This can be down to an increase in stimulus or a lower threshold to fire the nerves. The chemistry of your body and level of electrolytes can influence pain generation. If your body is lacking in nutrients that are used for the building blocks of natural anti-inflammatories then you will generally be more likely to experience pain. Or if tissue is injured, chemicals released by the damaged cells lead to easier excitation of pain nerves and you feel pain. So if pain is neurological is it right to perform surgery when changes are seen on x-ray or scans. It is possible to have a lot of wear and tear and have no pain at all. Similarly you can be in agony when there is very little damage showing. So if you have an x-ray or scan of a recently injured joint that was previously pain free and it shows degeneration or a tear of a structure don’t go straight for the surgical option. There is little correlation between tissue damage and pain. Think twice or even three times, seek an opinion of someone who isn’t a surgeon. You may be in pain simply because the pain nerves are more excited and the suppressive mechanisms aren’t working. If this is the case surgery won’t make any difference as the torn tendon might not have been the source of the pain. It could be coming from somewhere else entirely. Surgery should always be a last resort, once it’s done it can’t be reversed. There are risks of infection and risks of further pain due to the inflammation and excitation of pain nerves from the surgery itself. In some cases this can trigger a complex pain syndrome that is self fulfilling and perpetuates. The natural approach begins by activating the neurological mechanisms that suppress pain. Stimulation of these nerves anywhere in the body can help, the strength of the effect is variable depending on what area is stimulated and is related to the representation on the brain itself. Movement, mobilisation, manipulation, taping all help reduce pain. However they have to be applied correctly to ensure the balance of neurological activity is helping rather than hindering. If the physical therapy approach you choose isn’t successful, try a practitioner in a different discipline such as Chiropractor or Osteopath, or vice versa. Or even two different practitioners within the same profession as they do work quite differently a lot of the time. After you’ve exhausted all options consider the surgery but remember the pain won’t just disappear after surgery, you will still have a period of 6-12 weeks of recovery and rehabilitation to go through. Also you should look closely at your diet. Lack of fresh fruit, whole foods such as nuts, seeds, dark leafy green vegetables and oily fish can mean the body does not have the raw materials to create anti-inflammatory chemicals. Furthermore smoking and alcohol can aggravate inflammation. The use of the painkiller Gabapentin alongside manipulation and stimulation can also be helpful to suppress the nerves so that treatment can be gently started in chronic pain syndromes. We do not recommend the use of Non Steroidal anti-inflammatories or paracetomol as the former is detrimental to gut, heart, liver and kidney health and the latter has no benefit long-term and will reduce your emotional as well as your pain sensation.